Last November, I was sitting in my living room brainstorming marketing ideas with a fellow momtrepreneur friend of mine, when out of my mouth rolled two words: birth magazine. I almost giggled when I said it, because during my teenage years one of my greatest aspirations was to become editor in chief of Seventeen Magazine. But almost as soon as the idea had flown from my lips, I shut it down. That sounded like a lot of work, especially just for the purpose of promoting my already-growing birth photography business; and I wasn't sure I was up for it. Yet slowly but surely over the course of the next few months, the Lord kept bringing the idea to the forefront of my mind. I fought it tooth and nail, coming up with a million reasons why my plate was already overflowing... but it seemed the more I fought, the more pieces of this idea puzzle came together until what started as a simple marketing idea became a beautiful vision for transformation, growth, and community in a realm that has become one of my greatest passions. So I dove in. Tentatively at first... working behind the scenes, only telling those who were absolutely essential to the initial startup phase about my hopes and dreams for this little birth magazine. And then May 5 rolled around, and with baited breath, I shared the promotion video that announced Birth OK to the world. And today, I wanted to take a second to pause amidst the daily grind of starting a new business from the ground up to share the "Why" that led me here... that helped me to see the full vision that the Lord slowly revealed to me starting last Fall. You see, I live in limbo land. 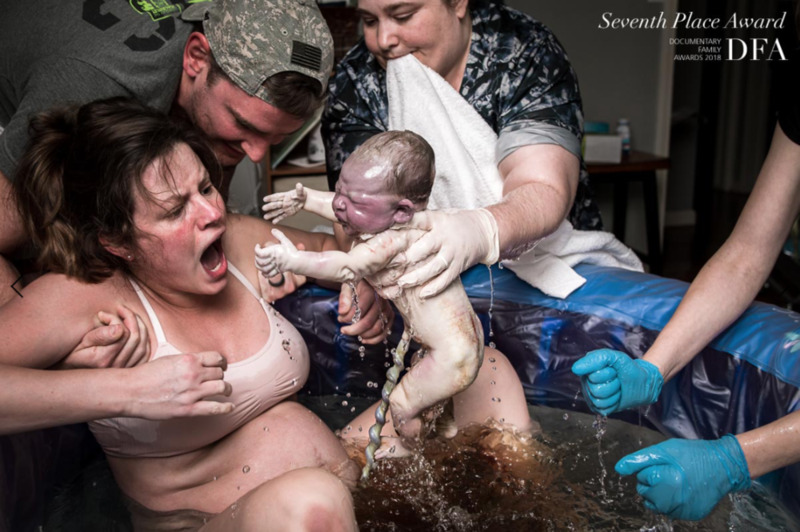 I'm a birth photographer/filmmaker, doula, and semi-crunchy self-professed "birth junkie" mama who has delivered both of my sons outside of the hospital. But my husband? He's a third-year family medicine resident physician (who delivers babies as part of his job)... and spends his days practically living at the hospital, immersed in all that is Western medicine. Disclaimer: we are fully in agreement on our decisions in birth and otherwise... but often I've found that people expect these two worlds to be diametrically opposed. And let's face it, sometimes in U.S. culture, it feels that way. Which is where my heart for Birth OK comes in. I'm in this unique position of straddling the line between the worlds of hospital and home birth (both equally valid and beautiful options!) - and I long to see these two worlds collide in a way that brings collaborative care, evidence-based practices, CHOICES and trustworthy information to Oklahoma mamas. Want to stay up to date on all things Birth OK, including getting access to a FREE copy of our first issue? P.S. To all my birth photography clients... I am still sticking around, and this won't change a darn thing about this lovely little business/ministry of mine, other than giving me access to even MORE resources to pass along to you! Can't wait to document and share in your stories!